Kathryn Tucker Windham — nationally renowned author, storyteller, journalist, photographer, and beloved daughter of the state of Alabama — has been named as the sole inductee into the Alabama Women’s Hall of Fame for 2015. Windham passed away in 2011. According to the Montgomery Advertiser, the honor of being the only inductee for a year is one afforded to those with “exceptional backgrounds.” NewSouth Books is proud to have been Windham’s publisher during the last years of her prolific writing career, releasing a new edition of the popular Alabama, One Big Front Porch as well as the new titles Ernest’s Gift, Jeffrey’s Favorite 13 Ghost Stories, Spit, Scarey Ann and Sweat Bees: One Thing Leads to Another, and Windham’s final book, She: The Old Woman Who Took Over My Life. Windham’s varied career began when she was hired by The Alabama Journal as the state’s first female crime reporter. The journalist then became a nationally recognized storyteller, and next applied her gift with a tale to writing her famous “Jeffrey” ghost story books and to a spot as a commentator for National Public Radio’s “All Things Considered” program. Windham’s books include not only tales of the haunted South, but reminiscences about Southern culture (and recipes) from the early twentieth century days of her childhood, and a final poignant memoir about aging. 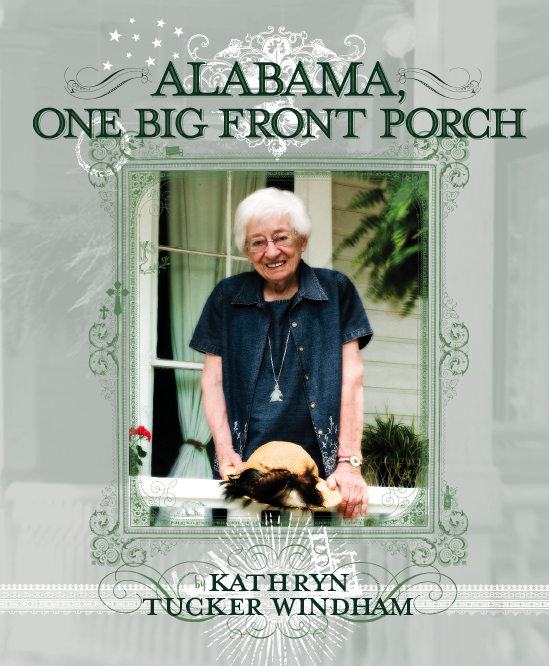 Kathryn Tucker Windham’s books Alabama, One Big Front Porch, Ernest’s Gift, Jeffrey’s Favorite 13 Ghost Stories, Spit, Scarey Ann and Sweat Bees: One Thing Leads to Another, and She: The Old Woman Who Took Over My Life are available from NewSouth Books or your favorite bookstore. Today, November 13, in 1956 was Day 345 in the Montgomery Bus Boycott. 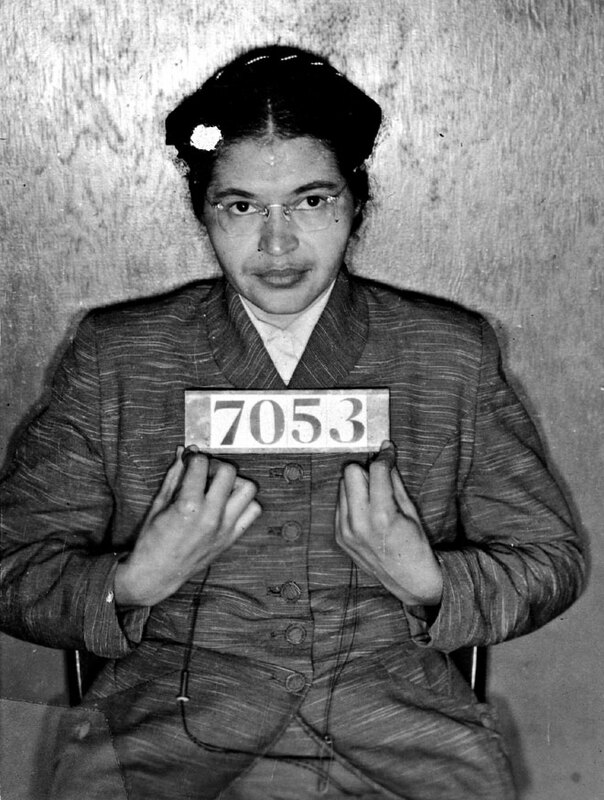 It was also the day that the boycotters won victory in their struggle that began after the arrest of Rosa Parks on December 1, 1955. The boycott began four days later, on December 5, 1955, on the morning of the day that she was to be tried in Montgomery city court on misdemeanor charges of violating the city law that said that blacks and whites had to sit in segregated sections on local buses. She was tried and was convicted and fined $10 and $4 in court costs. Her lawyer, Fred D. Gray, announced that he would appeal her case, which he did. But Mrs. Parks�s misdemeanor conviction was mooted when the U.S. Supreme Court on November 13, 1956, affirmed a lower-court decision that the Montgomery bus seating law was unconstitutional. That lower-court ruling, based on the principle established in Brown v. Board of Education in 1954, was written by U.S. District Judge Frank M. Johnson Jr. for a three-judge panel consisting of himself and U.S. Circuit Judges Richard Rives and Seybourne Lynne. Rives, a Montgomerian, concurred in Johnson�s opinion; Lynne, of Birmingham, dissented. City and state officials in Montgomery refused to accept Johnson�s ruling and appealed the case to the U.S. Supreme Court. Because the case involved a constitutional conflict between state and federal law, it was a direct appeal to the Supreme Court without passing first through the Fifth Circuit Court of Appeals; that was also why the original case was heard by a three-judge panel rather than by Johnson alone. Alabama Attorney General John Patterson and Montgomery City Attorney Walter Knabe represented the City of Montgomery. Fred Gray, Thurgood Marshall and Robert Carter of the national NAACP, and Charles Langford, the only other black lawyer in Montgomery besides Gray at the time, represented the plaintiffs. The plaintiffs, by the way, did not include Rosa Parks. Gray had decided her criminal case needed to be kept separate from the civil lawsuit against the segregation laws themselves. So the four black women who became Fred Gray�s clients and actually sued the city were Aurelia Browder, Susie McDonald, Claudette Colvin, and Mary Louise Smith — all had been previously arrested and convicted on the same charge as Mrs. Parks. The Supreme Court did not hear Montgomery�s appeal; it simply affirmed, on the basis of the lower-court record and the briefs in the case, the lower court�s ruling. News of the Supreme Court decision reached Montgomery instantly, but the City of Montgomery, intransigent to the end, did not immediately end the segregated bus seating. That moment did not come for another month until the Supreme Court order was printed, mailed, and received at the Federal Courthouse in Montgomery on December 20, 1956, and formally served by U.S. marshals on the city officials. And then on the morning of December 21, 1956, 382 days after they had begun boycotting, Montgomery�s black citizens returned to the city buses with the right to sit wherever they pleased and to be treated with the same dignity and courtesy as white passengers. Which was all they had wanted in the first place. There are many ironies in the Montgomery Bus Boycott. The Judge John B. Scott Sr. who convicted Rosa Parks was the grandson of one of Montgomery�s founders. He was also the secretary of the local bar association and had administered Fred Gray�s bar exam in 1954, admitting the young black lawyer to legal practice in Alabama. Attorney General John Patterson would parlay his segregationist stance in the bus boycott and other cases into election as Alabama governor in 1958 (beating a young George Wallace, who was the liberal in the race). Patterson�s election and Wallace�s conversion to segregationist tactics to win the governor�s office in 1962 set Alabama on the path toward full resistance to civil rights progress. Ultimately Wallace and Patterson both recanted their segregationist views and policies and apologized, but by then Alabama had already lost in every court it ventured into, and Rosa Parks and Fred Gray were both national heroes, along with Martin Luther King Jr. and Ralph D. Abernathy, just to name two of the boycott participants; there were hundreds of others who played vital roles but never gained national fame. And the 382 days . . . for years history books and even the Smithsonian Institution stated that the boycott lasted 381 days. But when they did the math, they forgot that 1956 was a leap year, and adding February 29 makes it 382 days. 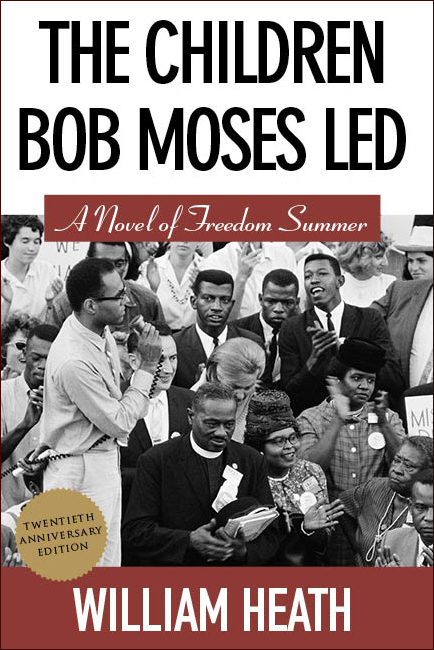 William Heath, author of The Children Bob Moses Led, recently gave a talk on the novel at Hood College as part of the institution’s year-long “Realizing the Dream” celebration of the 50th anniversary of the Civil Rights Act. Heath discussed Freedom Summer 1964, the subject of his book. The author was interviewed by the Frederick News-Post in connection with the event. Heath told the News-Post that his talk to young people focuses on the active roles taken by youth during the civil rights era, including challenging rigged voter registration systems, teaching in freedom schools, staging sit-ins, and participating in freedom rides. Such activities are dramatized in The Children Bob Moses Led, the story of a fictional character participating in the movement under the leadership of real-life hero Bob Moses. According to the News-Post, Heath pointed out that “my generation got to rebel against our parents and be morally correct in doing so,” and said that he mentions global warming as a modern issue that today’s youth could address. 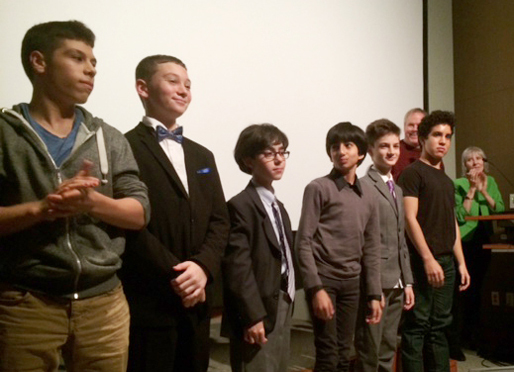 William Heath continues to tour with his message of social engagement. The Children Bob Moses Led is available from NewSouth Books, Amazon, or your favorite bookstore. 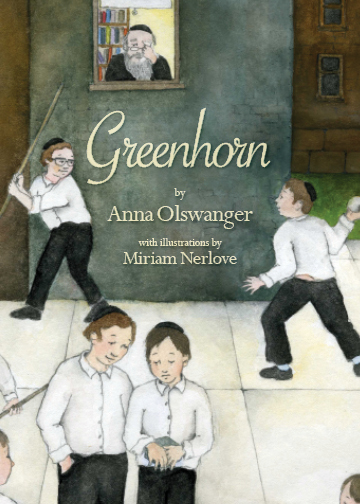 You are currently browsing the NewSouth Books weblog archives for November, 2014.